“Our holiday just got merrier,” Flagler County School Superintendent told her district staff and school board members, after the state Department of Education announced high school grades this morning. Matanzas High School got an A, improving from last year’s B. Flagler Palm Coast High School got a B, maintaining the grade it’s had for three successive years. The grades are based in large part on the Florida Comprehensive Assessment Test, but other tests also figure into the grades–such as Advanced Placement and the International Baccalaureate. Unfortunately, the strong grades will not affect the district’s overall B. The district had scored four successive A’s until this year’s slight decline, prompted in part by the tougher standards on certain FCAT tests. When the overall grade was assigned, the Department of Education already had a sense of how the high schools would fare, and had calculated those figures into the overall grade, Valentine said. 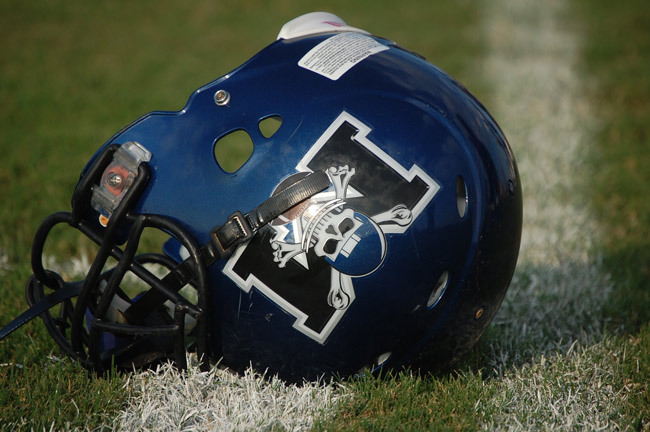 For Matanzas, it’s the second A in the school’s seven-year history. Valentine called Chris Pryor, the principal at Matanzas, last night to let him know the score. “They thought they were going to get an A but you’re never sure until the grades come out,” Valentine said. He was, of course, thrilled and couldn’t wait to let his staff know this morning. Lynette Shott, in her first year as principal at Flagler Palm Coast High School, was also very proud, but disappointed of having missed the A by a mere 15 points. “They’ll be striving for an A this year,” Valentine said. See the full list of grades with historical perspective below. Overall, every traditional public school in the district got either an A or a B, with A’s outnumbering the B’s. Imagine School at Town Center, a charter school, also got an A, its second in the four-year history of the school’s existence. Imagine has been the only consistent bright spot among charters in the district. But Stewart had another bit of sobering news for Valentine: Heritage Academy, the charter school the district closed this year, scored its third successive F. The news, however bad, was also vindication for Valentine’s and the Flagler County School Board’s decision to close the school after its second F last year. The decision, among the most difficult for a school board, was severely criticized by the Heritage community. At a hearing on the school closure, Heritage staff and parents spoke of improvements in the works that would yield better results. The score released today proves that those improvements were for naught, and the district’s decision was justified. This year another charter school in the district, Palm Harbor Academy, got an F, making the next set of results critical: if it fails again, it may face the same fate as Heritage. But Valentine said Palm Harbor’s staff has a lot of support, the school’s administration has changed, the school also got additional dollars to provide an extra hour of instruction after school with qualified teachers. Thank you very much for the phone call last night. It really felt good to see the outward confirmation of what we knew all along; Matanzas High School is high performing school. Everyone on our staff deserves credit for the outstanding work they have done in helping our students reach this goal. MHS ranks 117 out of 502 high schools in Florida. That is up from 171st place last year. We are ranked 4th out of the 27 NEFEC high schools. Of the 30 high schools in our closest surrounding districts; Clay, Flagler, Putnam, St. John’s and Volusia, Matanzas High School is ranked 7th. Please note that all other high schools in the list above have FAR smaller poverty and minority rates. This means that our teachers do far better than any other school in the region with similar or or higher percentages in those areas. In fact, if you controlled for those two variables, MHS would be number one by a long shot. We are very proud of our students and their level of achievement and the hard work being done by our teachers and staff, but we are continuing to strive for higher rates of excellence. If charter schools are supposed to solve the worlds problems, why are so many of them failing while traditional public schools are succeeding? It seems a lot of money is wasted on charter schools. Close the ones that have below a C and stop wasting money on a failed education reform. Congratulations on this fine achievement–Keep it going to maintain it for the forseeable future. Well done ! What Mr. Chris Pryor and his entire staff have accomplished in the 7 year history of Matanzas High School is simply amazing. Each and every staff member at Matanzas High should be extremely proud of themselves. The students at Matanzas should be extremely proud of themselves. Most of all the parents of the students at Matanzas High School should be extremely proud of themselves. What we have here is a great staff of [people working under the leadership of Superintendent Valentine and Mr. Pryor, the parents and especially the students all working together to achieve success.